The Law of Attraction is the one force that really can empower you to get anything you need and everything you want. No one on the planet is more qualified to teach you how to control that force than Joe Vitale. 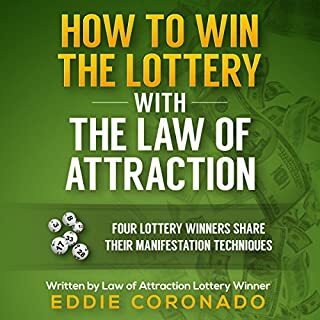 And The Ultimate Law of Attraction Library is Joe's ultimate playbook. Order it today. Then sit back and watch... as astonishing opportunities and unexpected riches appear in every corner of your life. What made the experience of listening to The Ultimate Law of Attraction Library the most enjoyable? I have always enjoyed Joe's work, but this book puts so much of his knowledge together in a way that is easy to capture and easy to follow. Have you listened to any of Joe Vitale’s other performances before? How does this one compare? 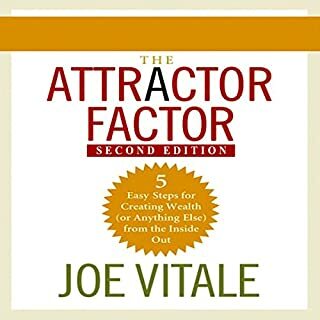 I have read the Attractor Factor and others. I think this book puts together works from several books and makes a great collection. a few good chapters, overall nothing new. for anyone who reads books on law of attraction and positive thinking it's a waste of money and time. too much bragging, I'm not talking about things he got but all the titles he has, which a very questionable. I'm giving it 3 starts just because of those 3-4 chapter I liked. 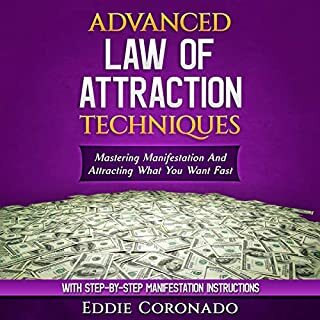 I won't recommend this book over other books on law of attraction to anyone. He mostly talks about himself which becomes boring after a while. Introduced to him by "The Secret" so glad I followed up. An extraordinary man with profound insight and depth. This collection of lectures was more extended than I expected, and included not only advice on personal, but on career and professional matters as well. Lots of easy clearing techniques. Would you consider the audio edition of The Ultimate Law of Attraction Library to be better than the print version? I LOVE Joe Vitale's voice. Yes, I DO prefer the audiobook. I prefer listening. I have trouble reading anymore. I remember when I could see ALL of the small print. Now I have trouble even reading regular books, newspapers. P.T. Barnum and Tom Thumb. I didn't know they were real and I've been going to Barnum and Bailey Circus' since I was born practically... 56 years! Yes, Joe is in some of Rhonda Byrnes Books. He is awe inspiring. I wish I had a mentor like Rhonda or Joe. No- I have t listen to these books over and over and over and over.. I am hoping to 'get' them by osmosis. I know one thing for sure, THESE books are the ONLY words that pull me out of depression, frustration, EGO, etc. This is a really great book for many reasons, but I want to thank the author most of all for the chant. Joe Vitale spent about 20 minutes of his own time singing a chant for us to be able to play when ever we want. I listen to it periodically throughout the day and with every bath I take. When I take my baths, it's my time to visualize. I used to visualize with music, but since I found this amazing audio book, i have been listening to the chant instead. Let me tell you, this chant does something.There is no way to listen to it and be in a bad mood. I've always been pretty good at feeling great when I visualize. However, I never knew what a difference something like this could make. Now when I visualize with Joe Vitale's chant in the background, my visualizations are more vivid and filled with even more positive emotions than ever before! How awesome is that? What a gift Joe Vitale has given us. Thank you so so much, Joe, for this amazing audio. 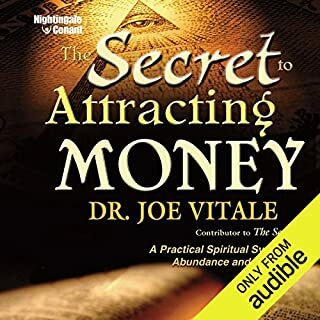 Joe also gives plenty more in this audio book to help us make positive changes in our lives, and make the very most of what we have been given and what we can do with it. It is a MUST HAVE for every spiritual entrepreneur. Again, thank you Joe. What other book might you compare The Ultimate Law of Attraction Library to and why? I really love this book. Although Jenny Loveless doesn't give any chants, I also would highly recommend Jenny Lovelesses The Secret Power of The Universe. It gives a really great explanation on the law of attraction on a deeper level. It's very motivational too. I haven't found it in audio, but it's on kindle. What does Joe Vitale bring to the story that you wouldn’t experience if you just read the book? Along with the chant, he also spends some time repeating the lovely, I love you, I'm sorry, thank you and please forgive me. My only issue with Joe Vitale is that he frequently duplicates information, and stories he already told in former books. Sometimes it's relevant, but a lot of times it's just repetitive. This is the 3rd time Im listening to this great audiobook. Love it . It really helps put things in prospective and gives you great advices and tips for all kinds of daily and life situations. I find the book very helpful and positive. I have been stuck for years. 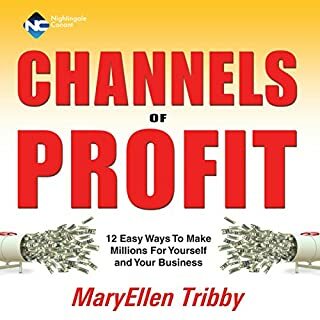 This audiobook really helped me breakthrough and filled in the gaps where others missed. What did you like most about The Ultimate Law of Attraction Library? What a fantastic collection. I didn't know anything about Joe Vitale before hand but now I am full of admiration. He makes positive thinking a pleasure and then takes it to another level. Well worth buying. What about Joe Vitale’s performance did you like? Yes, very accomplished though I could have done without the infomercials. I love the concept of asking for forgiveness for yourself for the faults of others. At first it seems weird but then, when you think about it,. what annoys us in others is usually because it mirrors the same fault in ourselves. I think I may look for other titles of his in the near future. 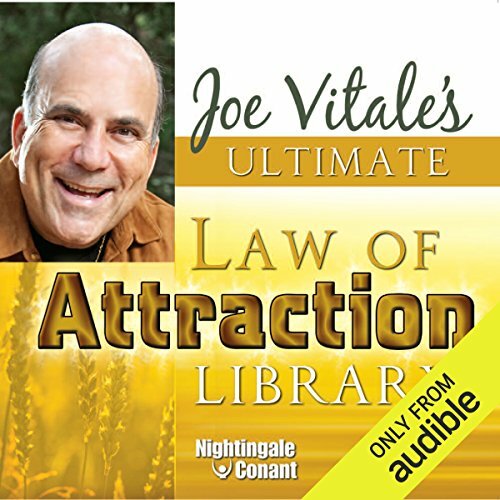 This comprehensive audio is like a 'greatest hits' of Joe's work, and contains everything you need to succeed and apply the laws of attraction. Excellent concept on how to approach challenges and opportunities. Shame the story is lacking context, lots of repeating and meditation exercises. There is nothing new in this audio and in my opinion outdated. This the first audio book I decided to prematurely end. It just gets boring to listen too. Superb , I have never read/ listened to a book that I would consider life changing. Until now. Would you listen to The Ultimate Law of Attraction Library again? Why? I will listen to this over and over as at twelve hours it is a lot to take in. Joe really attempts to keep things simple and offers guidance and spiritual healing to boot. What does Joe Vitale bring to the story that you wouldn’t experience if you had only read the book? As a dyslexic although I can read I find it hard to store the information, with the audio variety of books read by the actual author provides a much more authentic experience. 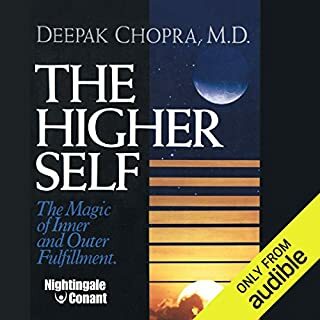 I thoroughly enjoyed this audiobook and as Joe says in one of the chapters when you get to stage two or three you will find this book enhance your ability to heal your false beliefs whilst at the same time solidify your current knowledge. Thank you Joe keep up the good work, namaste shanti om. Have you listened to any of Joe Vitale’s other performances? How does this one compare? Yes, I have and wish if I could meet him and can get some lessons.